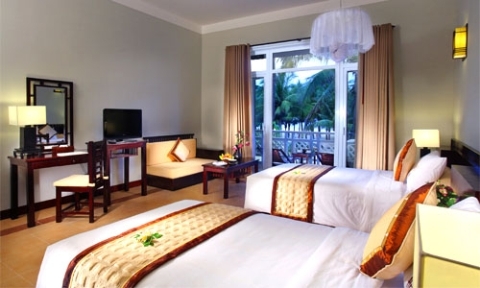 Hoi An Beach Resort is a four-star resort situated between the romantic De Vong river and famous Cua Dai Beach. 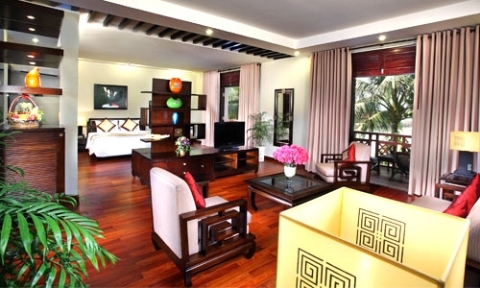 It consists of luxurious old Vietnamese-style houses and villa rooms. It is recognized by travellers worldwide as "An oasis of peace where the river meets the ocean". 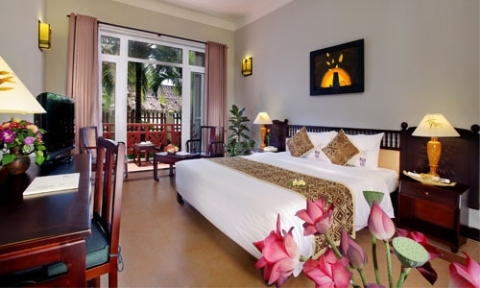 It"s just four kilometers from the historic town of Hoi An. 35 km (a 45 minute drive) from Danang International Airport and railway station. In its day the principal trading port for the whole of central Vietnam, Hoi An has long been proud of its reputation for gracious hospitality. We are dedicated to continuing this tradition today in our new and luxurious beach resort. There is so much to see in the area - historic Hoi An town, the My Son temple complex, the Cham Museum in Danang and, just over the pass, the former royal capital of Hue - that you could easily stay an extra day.